My name is Gene Dente. I established Fences By Dente in 1973. I am a lifelong resident of Monmouth County, and I have taken great pride in growing and nurturing my business for over 40 years. From sales to installation, our staff and professional installers provide superior workmanship and outstanding products. We really take pride in customer satisfaction. I have learned a thing or two about fencing, and unlike many other fence companies, fencing is all we do. We don’t landscape, plow highways, install sheetrock, trim trees or groom your cat. We just do fencing and we’re good at it. 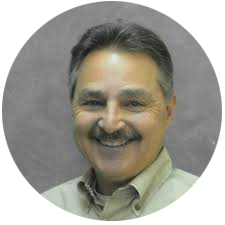 I have always told my staff and field personnel that “the customers’ needs come first. 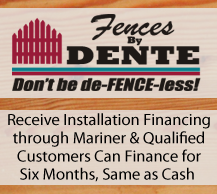 If you remember that, all the rest will fall into place.” Fences By Dente logos can be seen in thousands of backyards, businesses, college campuses, public recreation areas, and other locations throughout the state. I have never tried to become the biggest fence company in New Jersey — just big enough to offer great, prompt and affordable fencing solutions to all of our clients. We stand behind our products and workmanship. Many customers have become friends over the years. In fact, I now work for the children of many of my original customers! My roots are deep and long lasting in the community. That being said, I am always happy to meet new clients, exceed their expectations, and build relationships for life instead of just doing a single job. Fences By Dente, Inc. enjoys an A+ rating with the Better Business Bureau, and we are an active member of the American Fence Association. Send us some details about your project, and one of our staff members will be in touch shortly! We stand by our work, and our customers agree!